Unable to travel because you're sick? Kids making up their snow days on the first day of family vacation? No problem! Trip Cancellation coverage keeps you from losing your vacation savings if you need to cancel for a covered reason and more at your request. Even when everything goes right, vacations can be a stressful time: making flights, renting cars, traveling with young children, finding activities .... the last thing you need is something to go wrong. But if it does, CSA Vacation Rental Insurance can help you. You will have a dedicated claims representative working with you from start to finish. As identity theft can be a bigger concern while traveling, Identity Theft Resolution Services are included and offer you six months of service after your scheduled departure date. As an insurance policy cannot cover all events that might happen to you, those events which are covered are listed in your Description of Coverage or Policy under the Trip Cancellation and Trip Interruption coverages. Plans are typically offered at the time the reservation is made, sometimes up until final payment. Contact your Vacation Rental Management Company for their procedures. Foreseeable simply means reasonably known beforehand. Once it is reasonable that people traveling to an area would know about an event, it becomes foreseeable. For example, if the airline you are flying announces that they are going on strike, the event becomes foreseeable once they make the announcement. Yes, CSA may accept pre-existing medical conditions for you and your traveling companions as long as you purchase your plan prior to or within 24 hours of your final trip payment and you are medically able to travel at the time the coverage is purchased. A pre-existing medical condition means a Sickness or Injury during the 60-day period immediately prior to your effective date for which you or your Traveling Companion: 1. Received, or received a recommendation for, a diagnostic test, examination, or medical treatment, or 2. Took or received a prescription for drugs or medicine. Item 2 of this definition does not apply to a condition that is treated or controlled solely through the taking of prescription drugs or medicine, and remains treated or controlled without any adjustment or change in the required prescription throughout the 60-day period before coverage is effective under this Policy. Before and during your trip, a 24-Hour emergency hotline is available to assist you with various travel needs, including medical and legal referrals, emergency cash transfers, pre-travel advice, translation services, identity theft resolution services, concierge services and more. If the unexpected occurs, our customer service representatives will assist you with any claims forms needed, as well as provide you with individualized attention. Upon receipt of your completed claims forms, a dedicated claims agent will be assigned specifically to your case upon your return. Can my traveling companions and I be insured on the same policy? Yes. If you purchase additional arrangements such as flights, rental car, round of golf, or show tickets prior to your departure date, a simple phone call to customer service will allow you to add coverage. If you purchase this plan and are not satisfied within 10 days of receipt, contact CSA Travel Protection directly to indicate your desire to cancel. If you haven't already left on your trip or filed a claim, you will receive a complete refund of plan cost. First, you should notify your vacation rental company. Then call CSA toll free at (866) 999-4018 to request a claim form. The plan can reimburse you up to the amount in the schedule for prepaid, non-refundable payments made for your trip when your cancellation falls under one or more of the covered events listed in your Description of Coverage or Policy. If my trip is cancelled or delayed for a covered reason, can I be reimbursed for my other travel costs like airplane tickets or a spa package? Yes, provided these costs have been insured. You can insure any pre-paid non refundable arrangements by purchasing coverage in advance for additional arrangements prior to your departure date. A simple phone call to customer service, at (866) 999-4018, will allow you to add coverage. The costs will then be reimbursed if your trip is cancelled for a covered reason. CSA's Travel Delay coverage will pay up to $600 for reasonable expenses incurred, such as accommodations, meals and local transportation, due to a covered delay of 12 hours or more. 180 days (maximum trip length for residents of Washington is 90 days). CSA is committed to providing you with prompt and fair claims service. Every claim is thoroughly investigated and adjudicated by a qualified claims examiner. The total timeframe for claims resolution can vary; however, your prompt response with all necessary documents helps to expedite the process. In rare instances, such as natural disasters, the sheer volume of claims may create a temporary delay in our processing and adjudicating of claims. In those instances, CSA works diligently to catch up and return to our normal, fast turnaround times. CSA will work with your vacation rental company as well to obtain the necessary information. Paid invoice, receipt or credit card charge slip from my agent can't be considered proof of payment. We need actual copies of cancelled checks or credit card statements confirming the amount paid for the trip. Penalties are fees imposed by the vacation rental company or travel supplier when a trip is cancelled. CSA needs refund information when you are in 100% penalty. Many times taxes and other charges are refunded to you when you cancel even if you are in 100% penalty. If your vacation rental company is able to re-rent your unit, a refund may be in order from the vacation rental company. CSA plans cover you for forfeited, published, prepaid, non-refundable payments incurred as a result of cancellation penalties imposed by a vacation rental company or common carrier. Travel visa fees, timeshare transfer dues, etc., are not cancellation penalties imposed by vacation rental companies or common carriers. For faster service and to better prepare your claims examiner for your call, our Customer Service Representatives are trained to obtain your claim number before transferring your call. It depends on the evacuation conditions: MANDATORY EVACUATION IN PLACE: If you are evacuated, you should consider seeking accommodations out of harm's way. CSA reimburses for reasonable additional accommodation expenses incurred during the mandatory evacuation period. The limits for reimbursement vary based on the plan you purchased. Once the evacuation is lifted AND if you have more than four days or more than 50% remaining on your trip, there may not be coverage for the remaining days, should you choose not to return to the accommodations. If the evacuation order has not been lifted once you have less than half - or fewer than 4 days - remaining on their trip, the plan may provide coverage for the remaining portion of the trip. If your scheduled trip is less than 4 days in length and the evacuation isn't lifted prior to the start of the trip, you may file for the total of their unused arrangements. MANDATORY EVACUATION LIFTED: Once the evacuation order is lifted and if you have four or more days or more than 50% left of your trip, the remaining accommodations may not be covered. Coverage many not apply once the evacuation order is lifted. Just call CSA's designated assistance provider toll-free at (877) 243-4135 in the United States or collect at (240) 330-1529 from anywhere else for aid. Your plan documents include the toll-free and collect phone numbers to call, plus a complete Description of our 24-Hour Emergency Assistance Services. Our customer service staff will be happy to assist you with questions about buying a vacation insurance plan or your existing CSA vacation plan. CSA's travel insurance products are backed by financial strength and industry expertise. You become sick or injured, or a non-traveling family member passes away and you are unable to make the trip or must return home early. (Note: pre-existing conditions exclusions may apply). 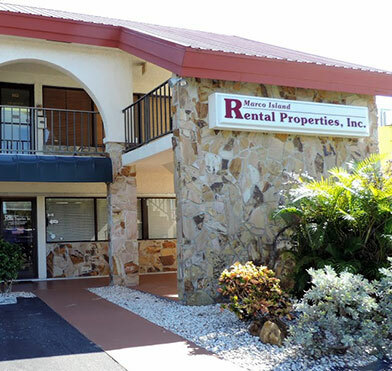 Contact Marco Island Rental Properties, Inc. for information about a property. For details and more information about Travel Insurance Protection on Marco Island. Protection Before, During and After Your Trip; CSA Travel Protection (Optional) Plan G-320CSA.